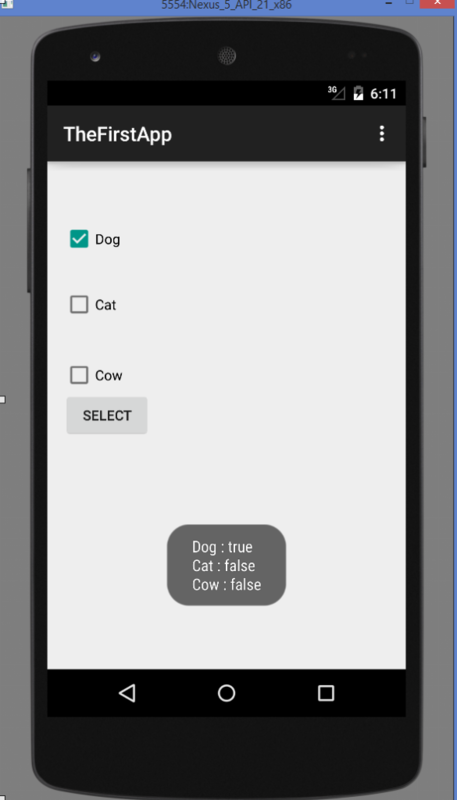 In this tutorial we will learn How to use Checkbox in Android Using Android Studio. Generally we use checkboxes when we want to choose from a list of items. 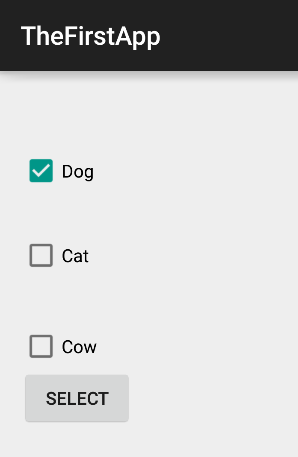 For Example we want to give the option to the user to select his/her favorite animal, in this case we can use chackboxs to give those options. Step 2 – Add three CheckBox in the main activity. Also Add a button to the main activity as shown in the picture below. Step 3 – Give Android id to checkboxs and button as shown in the activity_main.xml file. I read your blog very useful and helpful for us. Thanks for sharing it.